I’ve only had one enjoyable experience on a long-haul flight. For a 14-hour flight from San Francisco to Sydney, I booked a business class seat because my employer was paying. When I showed up, I was randomly bumped up to First Class. Qantas’s first class seats fully reclined into a sleep pod. I quickly fell asleep on the late night flight, woke up, ate, watched a movie, and landed. Easy. But not typical for long flights. I’ve also flown 20+ hours from San Francisco to Hyderabad via Dubai. Flying that far in economy was a totally different experience, even on Emirates, a very good airline. 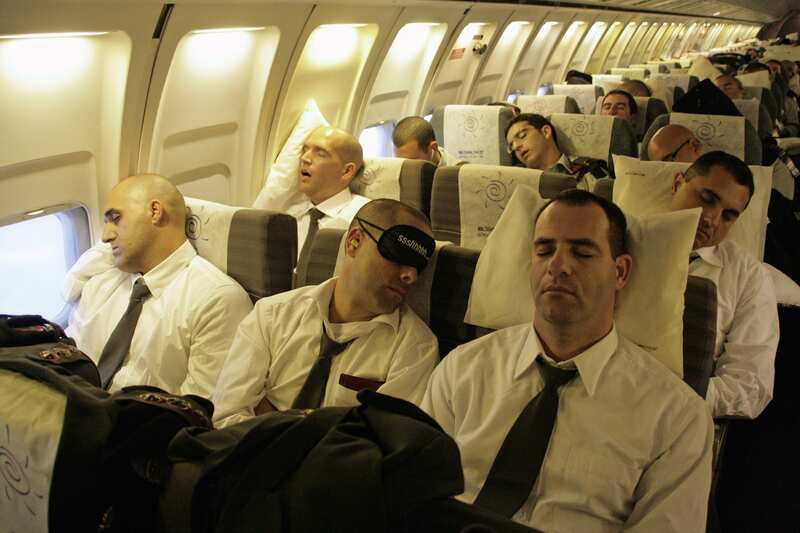 Long-haul flights are a brutal test of endurance. You really have to love to travel to endure them. How do you survive them without going crazy? With proper preparation. Below, I’ve outlined the tools that I use to survive long, international flights. Add your recommendations in the comments. Starting at the bottom, you will want comfortable, slip-on shoes. Slip-ons will get you through security faster and are easy to remove on the plane. Your feet will swell during your flight. Shoes with extra space will be the most comfortable. Shower before you leave so that you can go shoeless without offending other flyers. We recommend Smartwool socks for any situation, including in-flight. These wool socks will keep your feet warm in a cold airplane. Unlike cotton, they won’t get smelly or soggy. Smartwool socks are snug, don’t droop, and will last because they’re reinforced at the stress points. Some people swear by compression socks, but I haven’t found them to be necessary. For your upper body, bring an extra layer for warmth for when your plane feels like an icebox. As a San Francisco resident, where the weather is perpetually cool, I consider myself a light jacket expert. Hoodies work well and can be used to cover your head as a not-so-subtle “do not disturb” sign to your neighbors. If you need to look presentable at either end of your flight or are angling for an upgrade, wear something more refined like a cardigan or unstructured blazer. Both are still comfortable and can be rolled up into a pillow if you don’t need the extra layer. Sleeping on planes is hard. I can only do it out of pure exhaustion. To make sleep easier and to stay asleep, pack an eye mask and ear plugs. 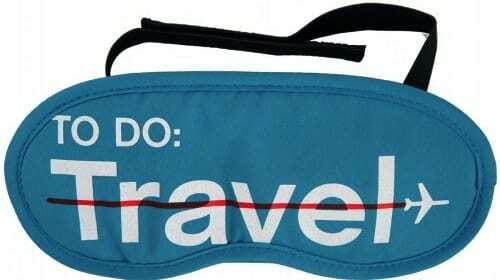 For accessories with personality, check out Flight001’s eye masks. Every article about long-haul flights starts with one recommendation: stay hydrated. That is sound advice. Plane cabins are dry, so drink plenty of water to hydrate your body and skin. Instead of waiting for thimbles of water from the flight attendants, bring an empty water bottle that you can ask to have filled up or that you can fill in the bathroom. Any plastic bottle will do. My go-to reusable bottle is a Camelbak. The Wirecutter recommends the Klean Kanteen Classic. Once I’m dressed and hydrated, my next concern is what I’m going to eat. An edible inflight meal is uncommon. Don’t count on eating airline food. Bring your own food and, if you get something decent from your airline, consider it a bonus. Melissa d’Arabian of the Food Network’s Ten Dollar Dinners recommends “protein plus complex carbs” for inflight snacks. On flights, and in general, I try to avoid anything refined, processed, or artificial. Nuts – Especially almonds. Avoid salted nuts which will make you more dehydrated. Fruit – Bananas, apples, or dried fruit without added sugar work well and won’t make a mess. 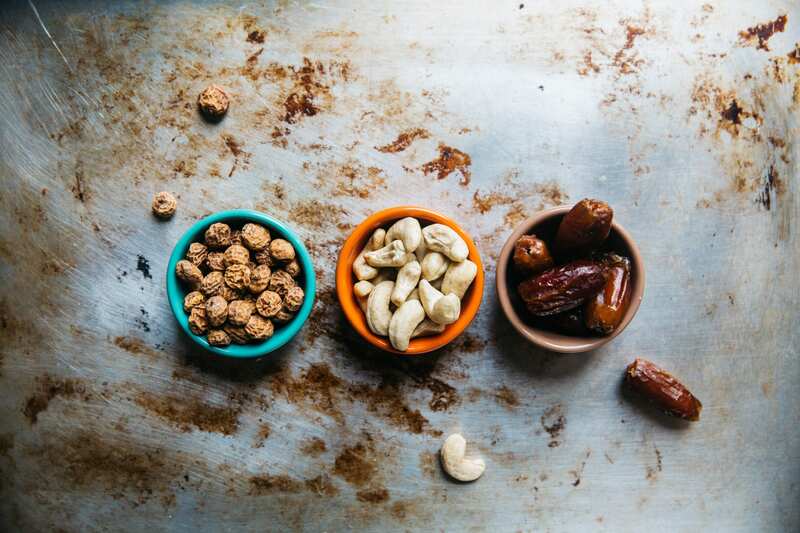 Trail Mix – Stick to mixes of nuts, dried fruit, and seeds. Avoid ones with chocolate-covered anything. Trader Joe’s has a huge selection of good trail mixes. Bars – Clif Bars work well as do fruit and nut bars. Just check the nutritional information because many bars are loaded with sugar and artificial ingredients. Whole Grain Salads – d’Arabian recommends quinoa-based salads with olive oil. Unlike leafy green salads, they won’t wilt. Dark Chocolate – For enduring a 12-hour flight, you deserve a treat. As a courtesy to the rest of your row, avoid smelly foods. Tuna may be compact and healthy, but it also stinks. Some studies recommend fasting for 12-18 hours before breakfast in your destination city to combat jet lag. Have you tried this approach? Unless I was asleep, boredom and restlessness would prevent me from keeping the fast. Now that you’re clothed and fed, let’s make the flight fun, productive, or at least quick. Entertainment is a matter of preference. Books, a Kindle, or neither? Music on your smartphone? Movies on your iPad? Work on your laptop? Whatever works for you. 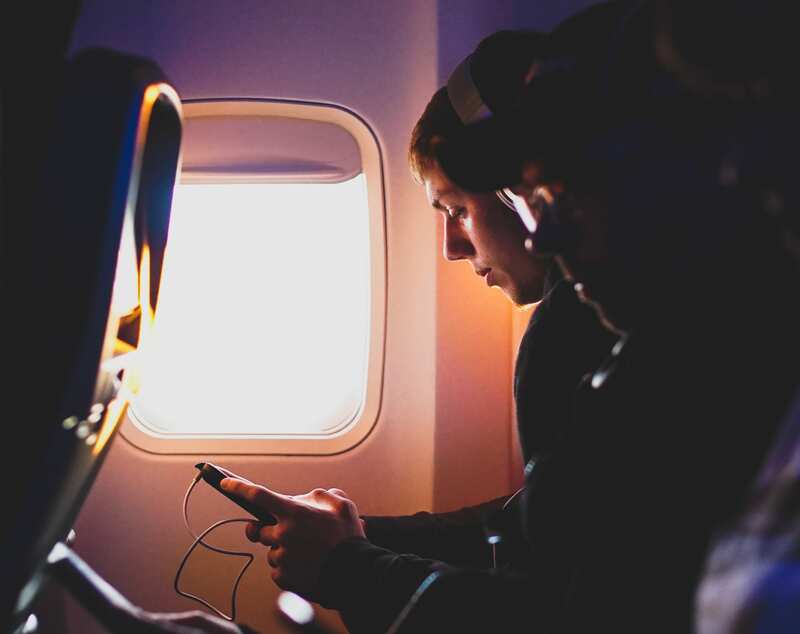 Long-haul flights are a great time to disconnect. You will be unavailable by phone and disconnected from the internet. Download movies to an iPad or sync Spotify playlists to your phone for offline listening. Even after watching a movie or two, you’ll have plenty of time to clear your head. For me, flying is a time to think about the future of Tortuga Backpacks, sketch product ideas, and write articles like this one. Regardless of your distractions of choice, make sure to bring a pen. You’ll need it for customs forms. If inspiration strikes while you’re in the air, you’ll have the pen for jotting notes or making sketches. Leave room for serendipity. If you arrive at your destination without dying of starvation or boredom, the next step is to feel good. Even short flights can leave you exhausted and disgusting. Longer flight are worse. If you follow our advice to pack everything in a carry on, you will have your toiletries within reach on your flight. Grab what you need and make a quick visit to the bathroom to refresh yourself in the last hour before landing. Brushing your teeth and washing your face are the easiest ways to feel alive again. Aside from your toothbrush and travel-sized toothpaste, bring either face wipes or face wash in a refillable travel bottle. Applying deodorant wouldn’t hurt either. Jeremy and I are huge advocates for Burt’s Bees lip balm. Your lips will dry out. Apply lip balm before and after your flight to keep them hydrated. Other articles on surviving long-haul flights recommend moisturizer, especially for your face, to prevent your skin from drying out. Put all of the essentials in either a duffle that meets personal item dimension requirements, or a daypack that fits smoothly underneath the seat in front of you. Preparing and packing your personal item ahead of time will streamline the boarding process and make life easier for you. Those are our tips and must-pack essentials for when you’ll be trapped in an airplane for ten or more hours. The flight isn’t fun, but with adequate preparation, you’ll survive unscathed. Just think of the fun you’ll have when you finally land.